Have you ever wanted to save the world? If you had only 10 minutes, could you defuse a bomb? Your mission, should you choose to accept it, is to work together to solve all the puzzles with dice rolling before the timer goes off after 10 minutes. Ladies and Gentleman, we are talking about the game FUSE. Fuse is a 1-5 player game, only $25 online (#WorthIt), and comes with a free app that counts down to total self-destruction. 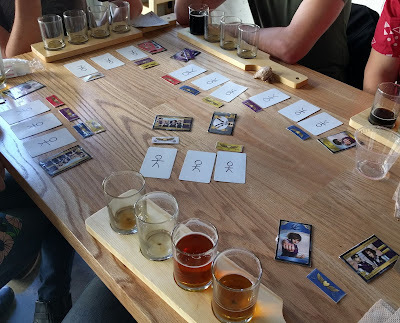 This game is portable, and you can take it to a brewery near you. If you like realtime games, this is one of the best. 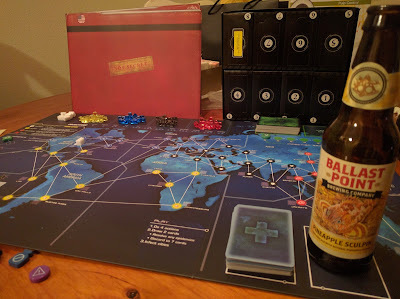 It is a cooperative game with dice rolling, puzzling solving, and requires constant communication between players...all while you are listening to a morbid 10 minute countdown to save the world. 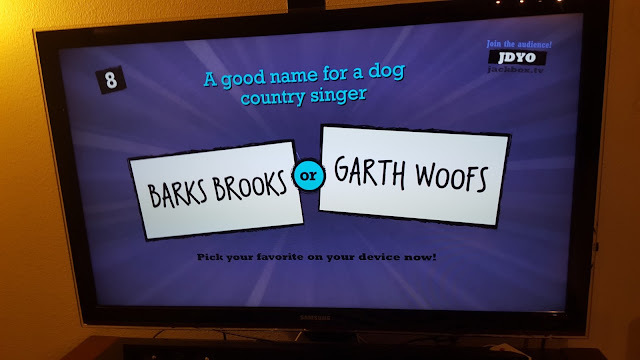 I cannot recommend this game enough as a great 10-minute filler. Due to the amount of sweating you may do as you fight for you life, don't forget about replenishing your fluids. For us, we hit up a brewery in Seattle called Outer Planet Brewing. 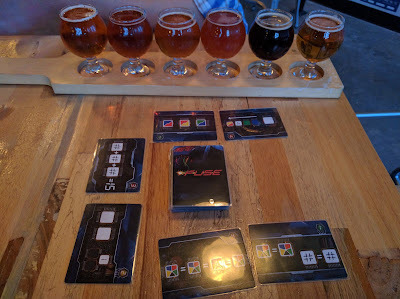 This place had decent beer, but more so, it had a great vibe and was easy to play our games at. If you want the best beer in Seattle, check out Holy Mountain Brewing, Urban Family Brewing, Bad Jimmys, Fremont Brewing, and Reuben's. However, if you're looking for a place to chill and play games while drinking beer, Outer Planet does the job.